Find out more about what makes HydraFacial treatments so special here with the unique six-step process. Book a course of 6 treatments of the same HydraFacial service & receive 1 free. Book a course of 12 treatments of the same HydraFacial service, receive 2 free services + 10% off home-care products. The 6 step Signature treatment of HydaFacial gives immediate results and is designed to be enjoyed as a monthly maintenance treatment, to detoxify the skin, remove dead skin cells, extract debris and provide lasting hydration to protect and rebuild collagen levels. The 6 step Signature treatment of HydraFacial gives immediate results and is designed to be enjoyed as a monthly maintenance treatment, to detoxify the skin, remove dead skin cells, extract debris and provide lasting hydration to protect and rebuild collagen levels. HydraFacial Plus includes your neck in the treatment. This 7 step treatment produces visible improvements to the skin that you can see and feel after every visit. Derma Builder is a unique, multi-peptide, anti-ageing serum, that reduces fine lines and wrinkles and enhances the skin’s elasticity for noticeable plumping & tightening. 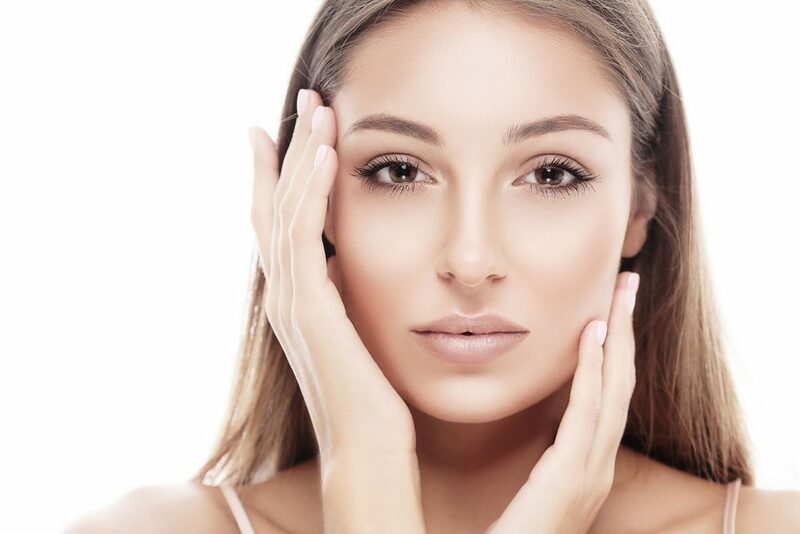 While long term effects are produced by stimulation of the collagen, this is THE go-to facial of the ‘A’ listers due to it’s immediate results and no downtime. All the benefits of an intensive peel without the associated downtime. This 6 step treatment includes the GlySal peel serum, a one step intensive exfoliation and chemical peel that removes dead cells whilst acting as a deep peel, working on specific concerns, to dislodge dead skin cells, help clear congestion and reduce fine lines & pores. This 7 step treatment features the Britenol Vortex Booster which is clinically proven to minimise the appearance of brown spots, pigmentation and melanin by 90%! It awakens dull skin, targets brown spots and sun damaged areas leaving skin glowing with a more even complexion. A favourite of the ‘A’ listers. 60 min. Delivers immediate results and takes less than an hour. This treatment consists of 6 stages which detoxify the skin, remove dead skin cells, extract debris and provide lasting hydration to protect and rebuild collagen levels. It can also be tailored to specific skin concerns, making it suitable for every skin type. All the benefits of an intensive peel without the associated downtime. This 6 step treatment, specifically for the back, includes the GlySal peel serum, a one step intensive exfoliation and chemical peel that removes dead cells whilst acting as a deep peel, working on specific concerns, to dislodge dead skin cells, help clear congestion and reduce pores. This 7 step treatment produces visible improvements to the décolletage area that you can see and feel after every visit. Derma Builder is a unique, multi-peptide, anti-ageing serum, that reduces fine lines and wrinkles and enhances the skin’s elasticity for noticeable plumping & tightening, while long term effects are produced by stimulation of the collagen. While long term effects are produced by stimulation of the collagen. This 7 step treatment produces visible improvements to the hands that you can see and feel after every visit. Derma Builder is a unique, multi-peptide, anti-ageing serum, that reduces fine lines and wrinkles and enhances the skin’s elasticity for noticeable plumping & tightening, while long term effects are produced by stimulation of the collagen. Combined with Britenol to reduce pigmentation and melanin by 90% this treatment reduces age spots & plumps skin for younger looking hands.